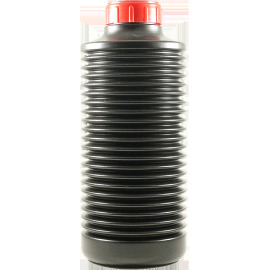 This bottle has been made for chemistry storage. 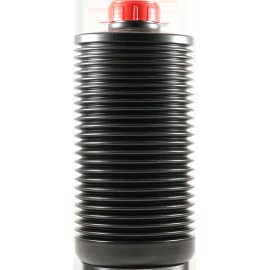 As it can be compressed, you can free the bottle from air and store your chemistry (developper, fixer,...) for a longer time. 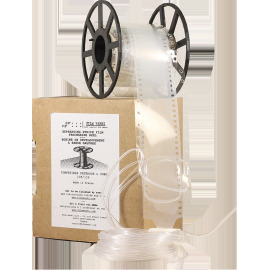 This Paterson Reel allows you to process a film in a tank. 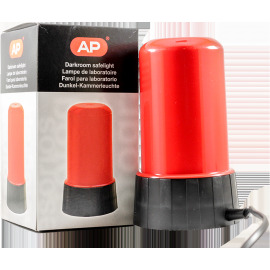 The inactinic red light allows you to develop papers or films that are orthochromatic as this light can't affect them, so you could work on it safely. 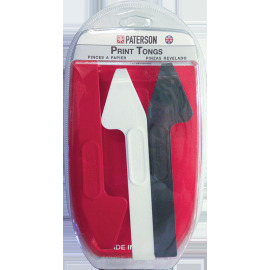 The paterson film squeege allows you to free your negative from water after getting it out of the tank. 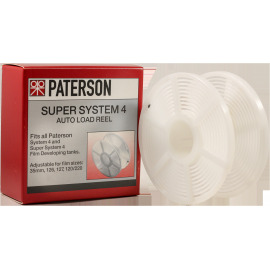 This Paterson Tank allows you to process two 35mm films or 1 120 films at the same time. 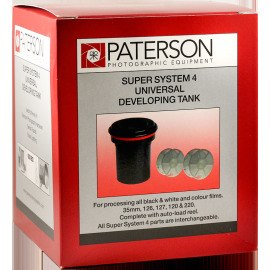 This big Paterson Tank allows you to process five 35mm films or three 120 films at the same time. 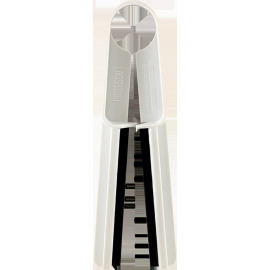 ADOFILE Negative strage pages are manufactured from high quality Polypropylene (Chemically neutral thus guaranteeing highest archival quality, better than any paper product). 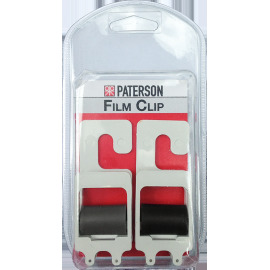 Pair of two Paterson Film Clips. 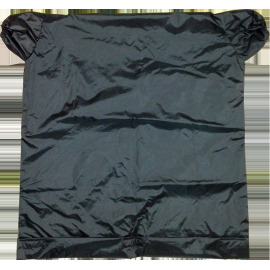 The Paterson Large changing bag allows to load the film in complete dark. 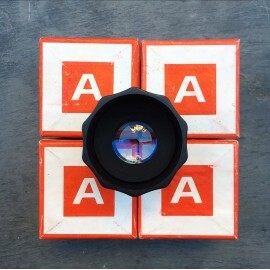 This Washi kit is made for the process of "V" and "W" washi films (japanese paper Kobo and Gampi). 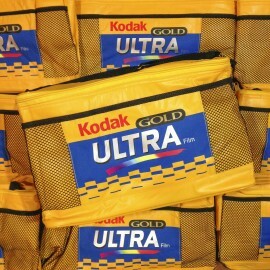 It allows to softly process the films as the paper make them fragile. 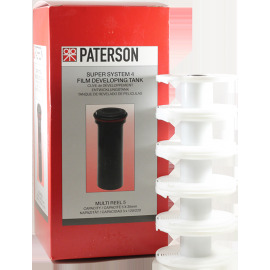 The Paterson kit in an easy-to-use kit for black and white film process. 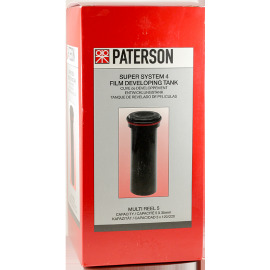 The kit contains: Paterson tank, two spirals for 35mm, 126, 127, 120 and 220. 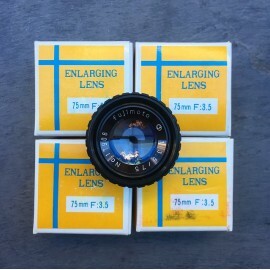 This enlarging lens comes from an importer stock in the 1980's. 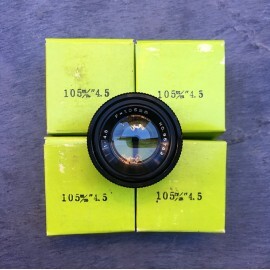 Very good condition - Never been used. 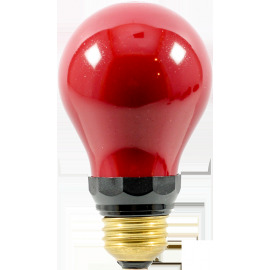 We go everywhere in France to find and buy stocks from antique factories, workshops, stores. 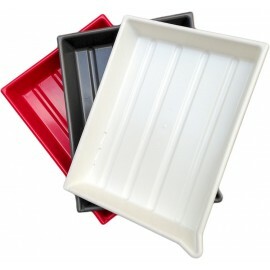 All our Vintage Stocks are genuine antiques and are available in a limited quantity. 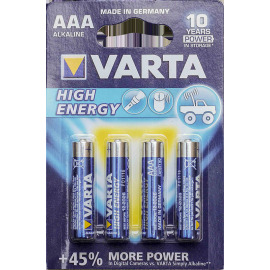 The Varta batteries are well known to be reliable and durable for your analog camera. 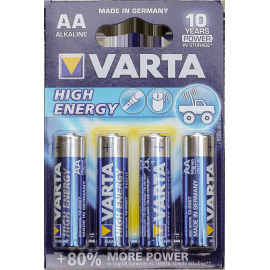 All our batteries are new and you can fin many references in the rest of our online shop.